You don’t have to buy a hybrid car to be an environmentally conscious driver. Here are a few tips to help you reduce your carbon… well rubber tireprint. Low rolling resistance tires not only reduce wasted energy as they roll, but also lower carbon emissions and cut fuel consumption by up to 4.5%. Low rolling resistance tires are safe, long-lasting and can save you over $500 in fuel costs over their lifetime. 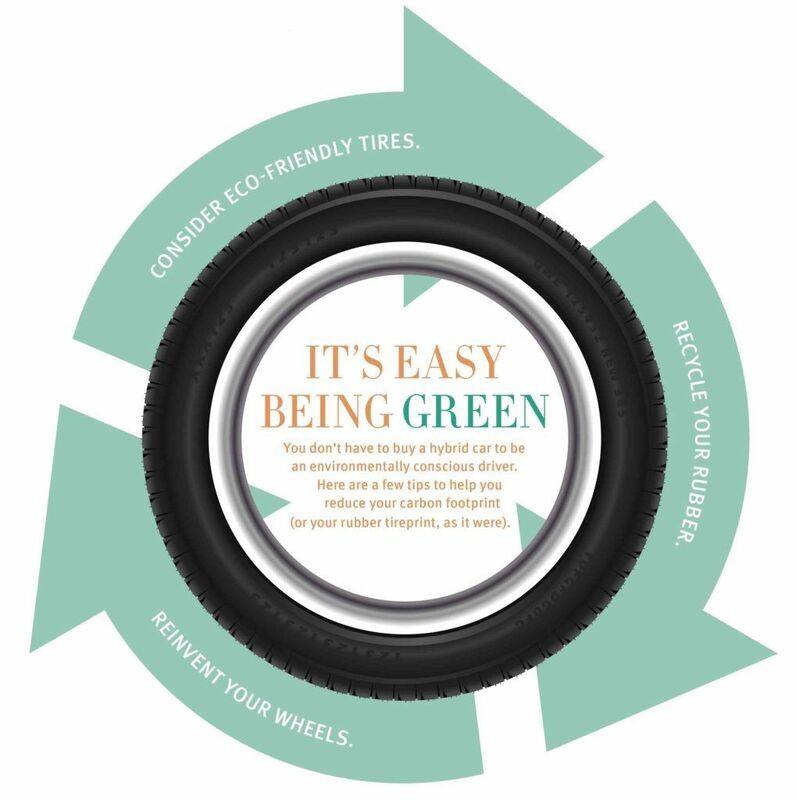 Make a safe choice for the planet, and your wallet with these eco-tires. Each year, a whopping 25% of tires end up in landfills after they’ve run their course on the road. Recycling tires gives up a substantial amount of landfill space. It also helps reduce the risk of scrap tire fires and pollution, and eliminates the potential breeding grounds of disease – carrying mosquitoes.